Weekly field assignments are making for a very interesting and useful pedagogical experiment in this Fall’s Introduction to Anthropology class. Reviewing and scoring the field journals each Tuesday, however, makes for some intense grading. 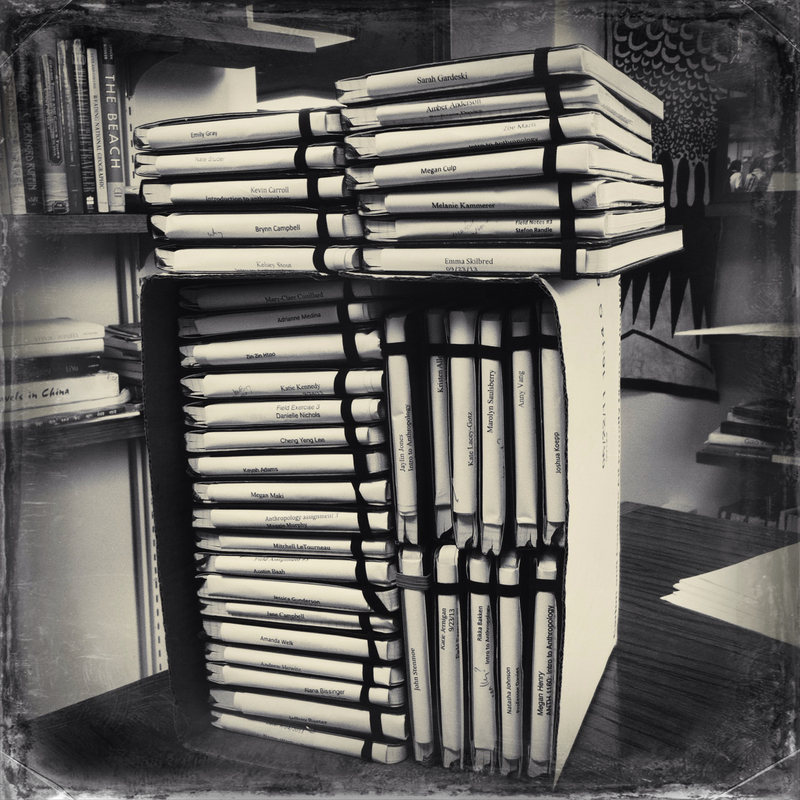 At least taking a fake Daguerreotype photo of the pile of black Moleskine notebooks, and posting it on Facebook makes it feel like the work of grading is more profound than it might otherwise be. 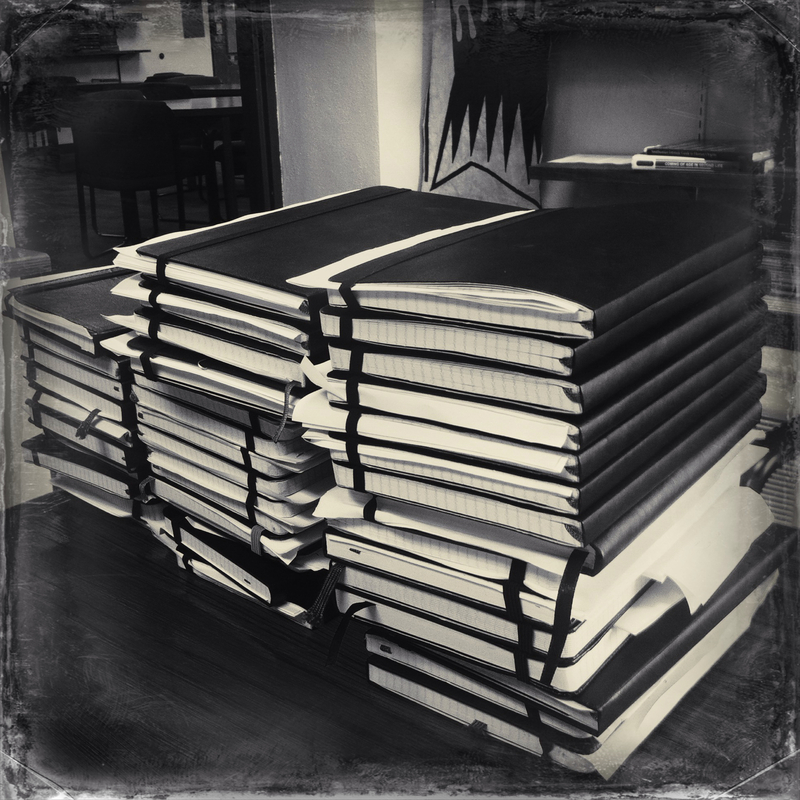 Last night I finished evaluating the last of the journals, and this morning I returned them to the folks in my class. Before class I took one more faux vintage photo to mark my present success for immediate nostalgic recollection.